He who has ears to hear what My Spirit is saying in these last hours, let him know and hear My truths. I am the Alpha and the Omega, He who was bruised for your iniquities, and the chastisement of your peace was upon Me. I have borne your griefs and carried your sorrows, and for love's sake, My body was crushed in death- My blood poured out for all who would believe. My death won your victory, and forever abolished darkness from claiming you and all I have created. Wisdom belongs to all who seek her, but is given along the path of much resistance. This is completely unlike what the world teaches- that you are to take the path of least resistance, the easier and more comfortable way. One who truly wishes to know Me and walk intimately with Me, will know that as your journey progresses, the way becomes narrower still. I have taught you that while you are here, the refining process will make you very uncomfortable at times. The trials I allow are meant to mold you and fashion you into My image, based on your response each time I present a challenge to you. I am concerned most with your heart, your heart motives in all you say and do, and your heart's response to all that comes your way. If your responses do not line up with My will, and you choose the wider path each time a trial is presented, you will simply repeat the process again and again, until you choose My path and My will for your response in full surrender and obedience. Only when you die to self each and every time consistently, until you have learned My ways, will I move you deeper into maturity and intimacy with Me. You will always have free will, but your choices will directly and profoundly affect your progress along your journey of intimacy with Me. Remember, you were not placed here for a me experience, but rather sent here to reflect your Father. In order to know My heart for you and to receive My wise counsel, you must die to self daily. Those who call themselves My Bride and My remnant recognize this, but all are loved equally, and all are given the opportunity to make this choice daily. You can do nothing in your own strength, but so many still strive. Surrendering does not mean giving up; surrendering means- giving Me full permission to allow anything I have purposed for you for your further growth through refinement in order that you become My instruments of righteousness, and My will and heart's desire for you becomes your will and heart's desire. It is giving Me your absolute yes and amen, so that your lives and the purposes I have for them are fulfilled, and I receive all the glory. There are many who profess Me, but don't know their efforts and their prayers are in vain. If you cannot drink of the cup of suffering while you are here, having the faith to believe it is for your best interest and for My greater glory, then I cannot reveal the fulness of My heart to you, and work in and through your lives to accomplish that which I purposed. True freedom can be found without the comforts of this realm. I offer a peace and a joy that supercedes anything you will ever find here. To experience this gift, however, you must be willing to forsake all. Many of you know this as your truth, and have lost family, spouses, friends, employment or dwelling places because you stand for Me. As I have spoken in the past, for those seeking deeper union with Me, I am removing unhealthy relationships and situations that are hindering your growth. For some of you, this separation is directly in front of you. There are many layers to understanding what My Word teaches about My Bride not having spot, wrinkle or blemish. I am not saying here in this passage that you are sinless, for all have sinned and fallen short of the glory of God. What I am saying is that those whose garments that are cleaned and pressed, spotless and white are those who have been washed clean and made righteous by My blood, the blood of the Lamb. These are they who want nothing of this world, and choose not to accept even the smallest compromise offered by this world. They are those who refuse to live in willful sin. I know every heart individually. I do not expect that you won't ever make mistakes. I simply ask that you trust Me enough to give it all to Me, and then see what I will do. My mercies are new every day, and your sins, when asked to be forgiven, will always be forgiven if your heart is sincere in repentance. The line is now being drawn, and if you wait to choose Me wholeheartedly, your eternal fate will be chosen by your refusal to determine who you give allegiance to. Let all who have ears to hear, hear Me. Speak boldly daughter, for I am compressing time as you know it. I am the Eternal and Infinite One and have placed you in a time/space continuum that is finite, and that is coming to an end. Those who walk this journey with Me sense the shift now taking place. You are experiencing that tearing away I have spoken of, the tearing of your souls from your spirits, as you ascend higher and further away from the darkness which encroaches. I am pulling at your hearts, I am drawing you in. Before you will realize what is happening, it will be complete, and I will gather My Bride to Myself. I want you to understand, that as the portals of darkness have opened, so too have the windows of My Kingdom- so much that there would not be room to receive the blessings I have prepared for My called out ones. Hold fast to My promises and do not fear the wicked one and the power he has. He only has what I have allowed, and no harm shall come to My Beloved ones. So many have bought into the deception and lies he has perpetuated, but My truth shines brightly and will always dispel the darkness. As more of hell enlarges her mouth to receive the wicked, so shall I pour out My Spirit on all flesh and those who profess Me as God, and great and mighty exploits will be done in My name. The earth has never seen what I am about to do in and through My people. I am preparing you for all that is here now. You will not be forsaken or walk this path alone. A great and mighty battle rages in the heavenlies, as the Kingdom of light battles the kingdom of darkness. Every soul who has ever existed knows of the end and the Great Day of the Lord. You who are here now have been chosen specifically for this time, and a gift beyond understanding awaits you- this to be revealed very, very soon. I am unveiling mysteries of My Kingdom and sharing more of My heart than ever before. Subtle moves of My Spirit you have experienced in the past will become much more powerful and a greater part of your reality here. The supernatural is merging with the natural, and although from the carnal mind, it appears lost and darker still, those who walk by My Spirit will know a completely different existence now. You are moving from previous mindsets and dispositions, more and more into unity with Me in spirit and in truth, and you will walk more and more in My counsel, as I continue to fill you with My Spirit. Joy unspeakable belongs to you, and there is a rest for My people. Enter in, be fully submerged, and allow Me to fill you to overflowing, so I may be glorified through every aspect of your lives. All I have belongs to you, and there is no limit to the gifts I have for you. So ask and it will be given, run to Me and I will always be found. The yoke upon the world now is one offered by the prince of darkness and its burden no one can carry, nor was anyone meant to carry it. My yoke is easy and My burden is light, so let go My children of all of it. It is time. This world is not your home, so walk away from that last bit you have clung to. I have it all in hand. Watch and see what I am about to do! Believe, I AM COMING! And you will be reborn yet even again! My family and I wanted to thank everyone who has already signed up for the new Global Prayer Warriors website, we are steadily climbing towards half a thousand members in 5 days!!! 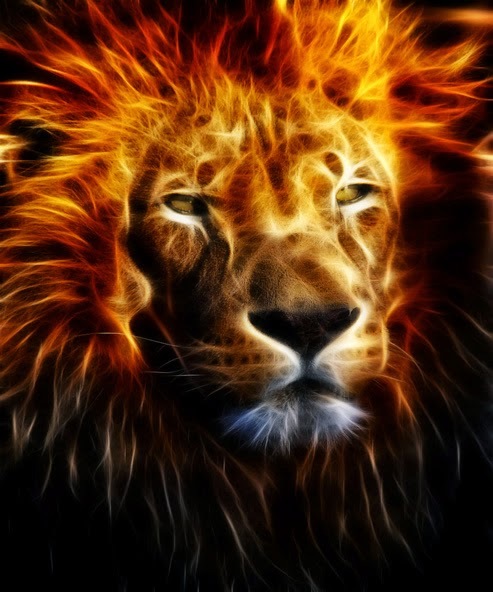 All praise to the King of kings Yahushua, and the power of prayer through His people! We already have seen two prayers answered because of those coming together in unity to pray. Please do send your answered prayers and praise reports in, and we are working on a separate tab just for these. If you have not signed up, please do so as soon as possible as we have so much to pray for and so many who are lost and in need of intervention from fellow brothers and sisters in Yahushua. It only takes a couple extra minutes after you have prayed for someone's intentions to click that box below their request saying you have prayed for them. I can't stress enough how important it is to let people know others are praying for them. There are those who are writing who are desperate and feel there is no one to turn to, and those who are new in their relationship and need the support and encouragement of stronger believers to help them in their journey. At some point, as Father leads we plan on helping to bring people together through this site to form individual groups that pray together and help grow each other in Yahushua. This is only the beginning! Also, a reminder to all those who have previously signed up for the 24 hour prayer calendar; if there is some reason you are not able to keep your commitment to pray for the hour you signed up for, then make sure to send a note to our moderator at meetmeinthegarden4prayer to change or discontinue your time. We want to make sure the calendar is always filled. Currently, every hour of every day of the week is full with someone praying for the lost. Thank you everyone, always, for your ongoing support, love and prayers, and we send our love and prayers to you! My family and I are so very excited to announce our new additional website. It is called Global Prayer Warriors. Several months ago, Father gave me a detailed design of this site, a place where the body of believers can be united in Him closer than ever before through the most powerful weapon He has given us, PRAYER. Yahushua places great emphasis on the power of prayer through His remnant, in the words of the Bible, and has asked us together, to boldly come before His Throne and take action by faith in all He has taught us. Praying as One unified body is an extremely powerful means for us to do this. This site offers you the opportunity to post your prayer requests and petitions so that all those around the world can join as One in our Father and intercede for your intentions. On this site, you will also be able to let others know when you read and then pray for someone's requests, so everyone participating can be encouraged in knowing that others are praying for them. As Google has not yet indexed the site, please type globalprayerwarriors.com, all small case and no spaces in the address bar or URL bar at the top of your search page. 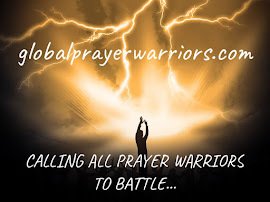 If you do type globalprayerwarriors.com in the search box on your browser, you will reach Global Prayer Warriors.org. This is another site and not related to Behold I Come. You will come to a page where you will see a form to register for the site. Please click ' Register ' at the bottom of the form and you will be brought to a page where you can input a user name and e-mail. Please then read the Statement of Beliefs (so that we know we are all in one accord). Check the Agree to the Statement of Beliefs box below your username and e-mail. You will then be directed to your e-mail to click on a link to set up your password. The site theme does this as a security measure. After you set your password, return to the login page and type in your username or e-mail and your password. You will then be brought to your individual profile page. Choose your color scheme for your profile and save it. This feature is a part of the Wordpress theme and we thank you for your patience with all of these steps. Once you have completed these steps, go to the top lefthand corner of the page and click on Global prayer warriors home icon. This will bring you to the Home page where you will see a Welcome message written for you, as well as an mp3 message at the bottom of the Home page to provide you with a description of what Father has revealed to me for this site, as well as the guidelines for this site. There is a short testimony I have given on the top right column for anyone who is not familiar with the Behold I Come ministry. Across the top of the page, under the Father's Messages tab, you will first find Urgent needs to pray for. This will be posted as the Ruach HaKodesh leads, related to current world events or issues. Under Urgent Prayer needs, there is a drop down tab where I will post Father's additional revelation and insight from His heart and messages to encourage you in your prayer time. Next you will find Words of Encouragement which are short messages and teachings about prayer and areas of our prayer life to motivate and strengthen us. Even as the Bride, sanctification and growth are continual in our relationship with Yahushua. The next tab across the top of the page is titled Prayers. Here is where you will be able to submit your prayer request and also find many powerful prayers. (You may choose to remain anonymous in your post if you wish. You will need to type in your first and last name, however, so that we as administrators know who has submitted the prayer request, but if you check the anonymous box, your name will not be shown on the public prayer request.) Once your prayer is submitted you will receive a confirmation and message saying your prayer will be posted publicly once a moderator has reviewed the request. We will do our best to approve prayer requests as quickly as possible. All prayer requests will be shown for 90 days and then archived. If you would like your prayer request to continue beyond 90 days, then you will need to resubmit. We encourage you also to submit praise reports through the prayer request box, as Father answers our prayers. To the right of the Prayers tab is the tab for 'Beliefs, ' where you will find our Statement of Beliefs and Site Guidelines. The next tab is The Prophecy tab where you will find links to the blog, as well as the youtube videos. There is an mp3 link here for additional messages and mp3 recordings. For those of you who are interested, there is a box on the right column that explains how we are to pray biblically. Under that box, we have provided more information on how to pray scripture. You will find a link to biblecat.org under this icon which helps you to find the specific scriptures by topic or category. Lastly on the right column at the bottom you will find a letter for the hard to reach that Father has given me to share with everyone. It is a printable letter for those who are hard to reach- those loved ones you have tried to witness to, co-workers, or neighbors who need salvation. We encourage you to copy this letter and send it to everyone you can. Faith without works is dead! This site will be expanded as well, in Father's timing, and as He leads. Please have patience with us. This is a new endeavor and like the Youtube channel, we are doing all we can as we progress up the learning curve. If you have site-related or technical questions, please fill out the contact form under the Contact link at the top of the page. We have a prayer team that will always be lifting up every prayer. We would appreciate your prayers and covering for this site so that we can move forward in all that Father has called us to do for His Kingdom. Thank you for all your support and prayers, and thank you for joining us in this new endeavor from Father! May more and more souls be saved through the answered prayers we know will be a result of such a unified effort from Yahushua's remnant. May Yahuah bless you and keep you until He comes for us. *We have put together a youtube video as well to explain the new site and how to register for those who would find that helpful. Trouble brews on every side now and all that can be shaken will be shaken. Nothing is outside My reach. I make kingdoms rise and kingdoms fall. Watch and see what the Lord your Elohim will do. I will cause your enemies to come against you in judgment, as your borders have been breached. My arm of protection has lifted and Babylon shall fall. All the nations of the earth will mourn and lament her as her smoke rises to the heavens. There are two distinct camps now, those whose hearts are hardened and have gone the way of the heathen, and those who have forsaken all to follow Me. The spiritually dead will drink the cup of bitterness, as I will give them over to their evil desires. I have commanded My sanctified ones; I have also called My mighty ones for My anger. A great noise arises as the Lord of Hosts musters those for battle. The Day of the Lord is at hand; it shall come as a destruction from the Almighty. All hands shall be faint and every man's heart shall melt; they shall be afraid as sorrows shall take hold of them, and they will travail as a woman with child. Look and see as these things foretold in My Word are happening before your eyes, yet still, many remain in disbelief. My beloved and My Bride, the time has come, that I wish to gather you to Myself. Draw very close to Me now, as I tighten your armor and give you your orders. Prepare your vessel to receive My great outpouring, as I will provide the extra oil you will require to keep your lamps full. The midnight hour is almost here and your Bridegroom approaches quickly! Remember what I have told you. As the darkness comes, My Bride rises higher in her spirit to Me. This is cause for great joy in your heart, as the final preparations for you are being made. Your senses will be heightened, as you come deeper into alignment with He that created you , and into all that I am. Your burdens will be light and you will only know peace in this great storm that is now here.